Mukaish Badla is a form of embroidery, which at its peak flourished in the Indian city of Lucknow. At its peak, in the 18th century, the art form travelled to different parts of the world, but is now restricted to a few narrow lanes in the old city of Lucknow. The art was basically introduced by the Nawabs, who ruled the city, to beautify another form of embroidery called chickankari — which still persists in the Indian subcontinent. Mukaish, however, ended up becoming an independent style and flourished across the city in the past. This form of embroidery was first developed for the ruling class that resided in the city as part of their finery since Mukaish work initially used precious metals like gold and silver to make metallic wires. The artisans who perform this art were at the time referred to as Badlas. They perform this craft by inserting metallic wires of gold and silver into the fabric eventually twisting it to create magnificent metallic embroidery on the fabric. The story I am trying to tell through my photographs is the story of these artisans — their downfall, struggle, and survival. The artisans, who devote their lives to the art form make a bare minimum of $2-3 per day, for concentrating and working in extremely harsh conditions for 10 hours everyday. The city once had more than 3,000 badlas, but now the number has come down to just 20-25, all of them aged above 65. Badlas complain about the practiced apathy of the government, which leads to further exploitation by their masters, who own the means of production and their lives, says 75-year-old Sabir Hussain, who has been working as a Badla for nearly 65 years. The warehouses they work in are dingy, suffocating, tiny rooms. Now only polished wires of gold and silver are used to perform this art which has played a major role in the downfall of this art. The art and the artisans might soon die a painful death amidst the frenzy driven by ‘development’ and ‘modernisation’. These artisans are the real treasure of Indian art and craft as their work is unparalleled and authentic. The artistes’ plight something I am trying to bring out through my photographs. Their population is dwindling and soon in not more than 20-25 years, will become a part of history which can only be recalled in a poignant daydream or a visual imagery. My work ‘Swan Song of the Badlas’ revolves around the life of these Badlas and their families, who are struggling to keep the art alive. This project was initiated under the aegis of the Neel Dongre Grant/Award for Excellence in Photography 2016 organised by the India Photo Archive Foundation. 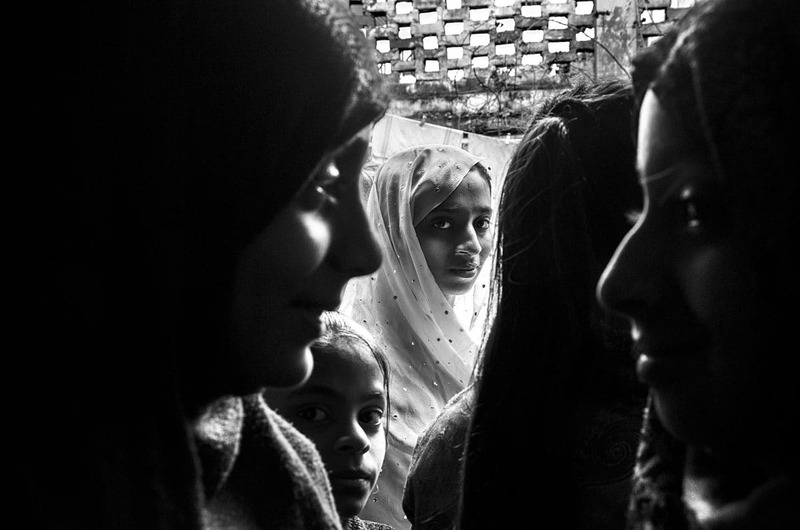 Taha Ahmad is a documentary photographer based in Delhi. He was born in Lucknow, in 1994. He developed an interest in Documentary photography while pursuing his bachelor’s degree. He feels photography has a strong influence in creating and developing discourse for the future. His photographs are framed in a way that preserves their reality, which he feels is undergoing an everlasting change. Currently, Taha is pursuing his Masters in Fine Arts from Jamia Milllia Islamia and is mentored by Delhi based photographer Sandeep Biswas. He is also being guided by AFP Photographer Joseph Eid and Turkey based photographer Tahir Un.